I tried this super cool place in GK market which serves food on a conveyor belt directly at your table. Besides the innovative concept, the food was delicious and authentic. I tried the Prawn Tempura sushi which was one of the best sushi I've had in Delhi. For appetisers, I tried the Cheung Fun stuffed with chicken mince which was a melt in the mouth kind of dish. For the main course, I had the Tanoshii style chicken with Yang Zhou fried rice which had fish meat and chicken, both dishes tasted good, each with unique flavours that were different from the usual Indian-Chinese food. The sushi at Tanoshii Trail tops my list. Pan-Asian Meals On Wheels? 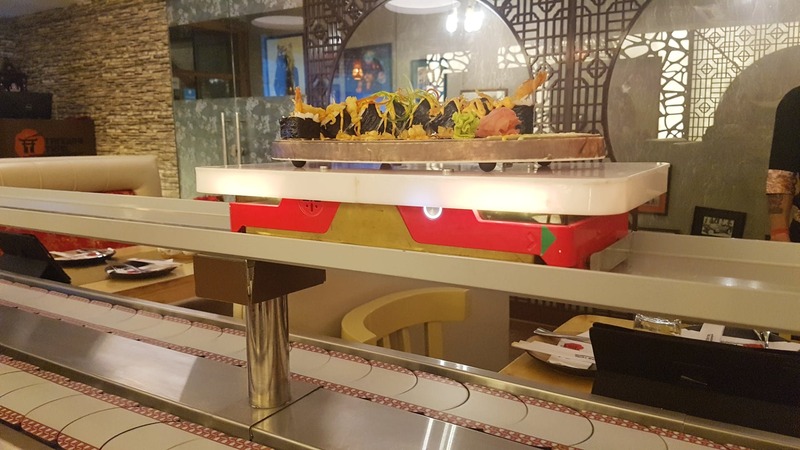 Get Food Delivered On A Conveyor Belt! Delhi Just Got Its First Automated Restaurant & It Looks So Cool!